The Palram Snap & Grow 8 x 20 Hobby Greenhouse demonstrates the high quality you can expect from Palram. 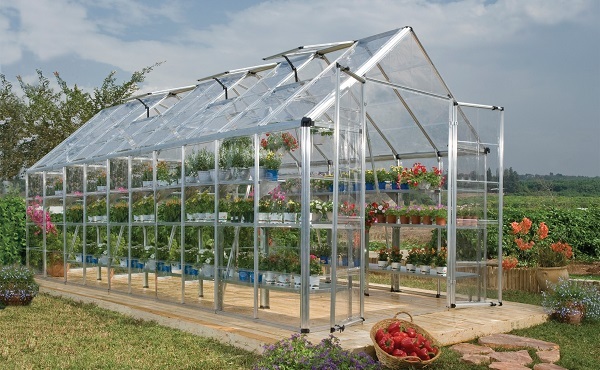 With a rust-resistant, reinforced double-wall aluminum frame with extra wide double doors, this durable greenhouse also has virtually unbreakable polycarbonate roof and wall panels. It also features plenty of space to grow with 164 square feet of room as well as 8.5 feet of headroom. 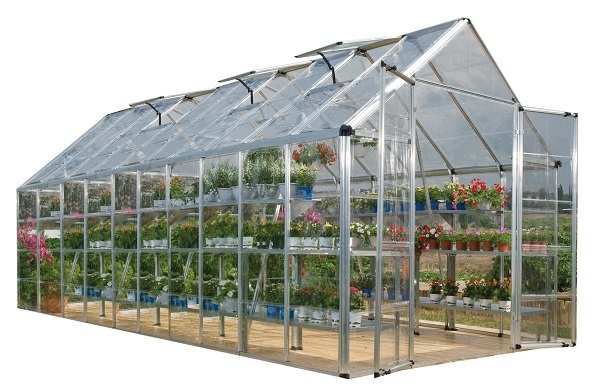 Your plants will thrive within the walls of this quality greenhouse from Palram. Does this Greenhouse come with all of the shelves and hangers shown? No, the shelves can be purchased in the popular accessories tab underneath the product information.